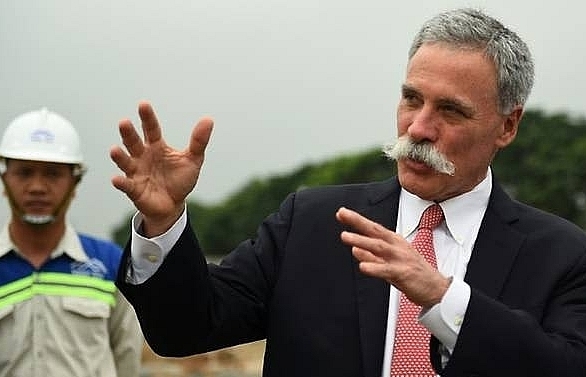 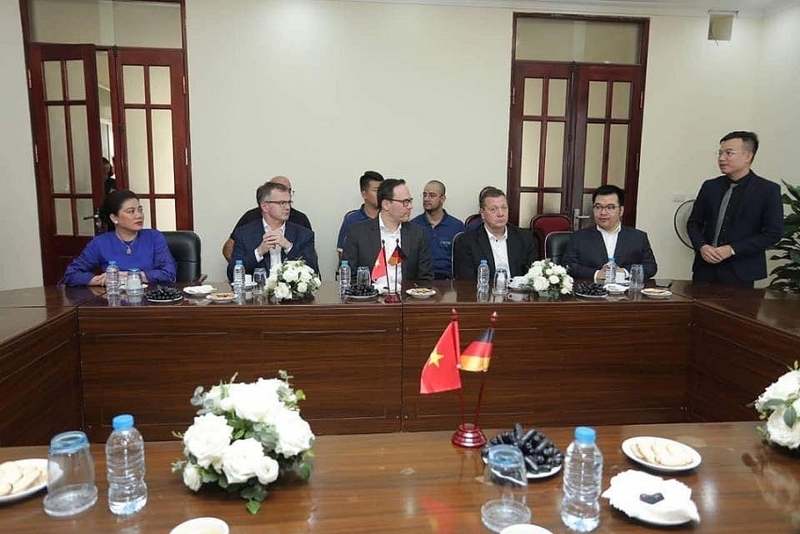 Germany wants to co-operate with universities and colleges to implement dual vocational training programmes in Hanoi in order to improve the skills of students and make them globally employable. 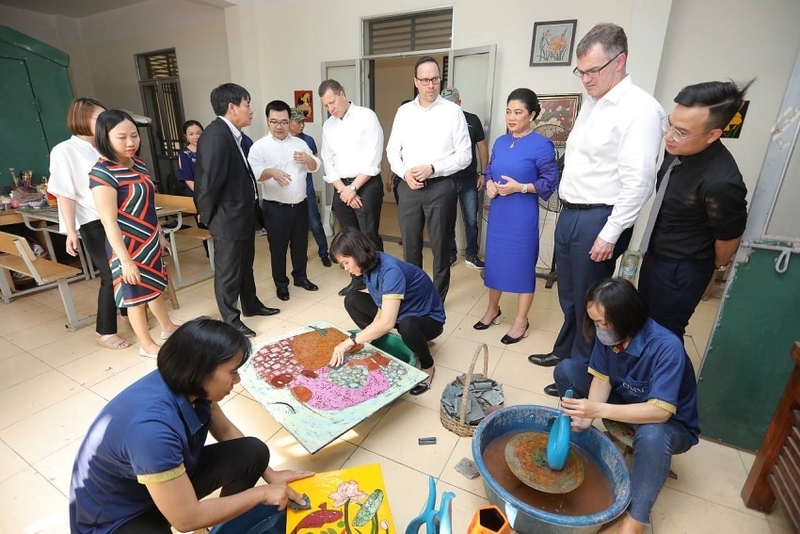 In a trip to Hanoi in the afternoon of March 22, the leaders of the Federal Republic of Germany’s Leipzig city visited The Vietnam Vocational College of Craft Art and Techniques. 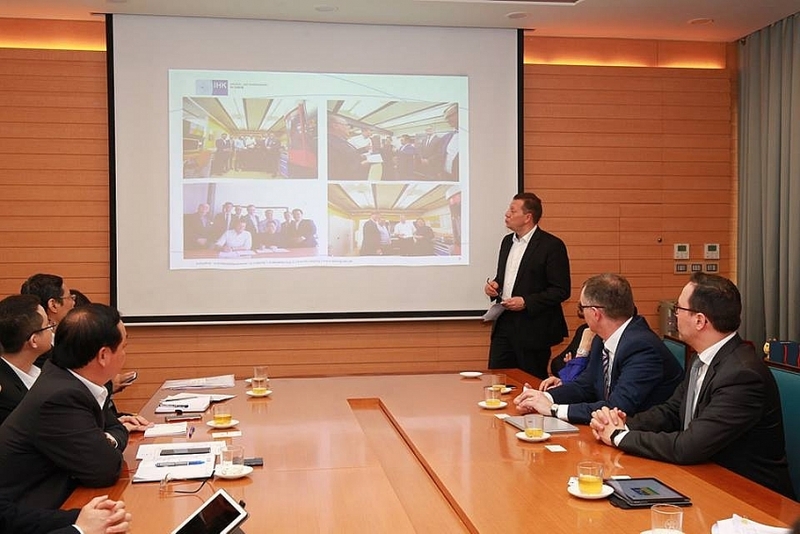 Accordingly, the delegation expressed interest in entering into a co-operation with the school. 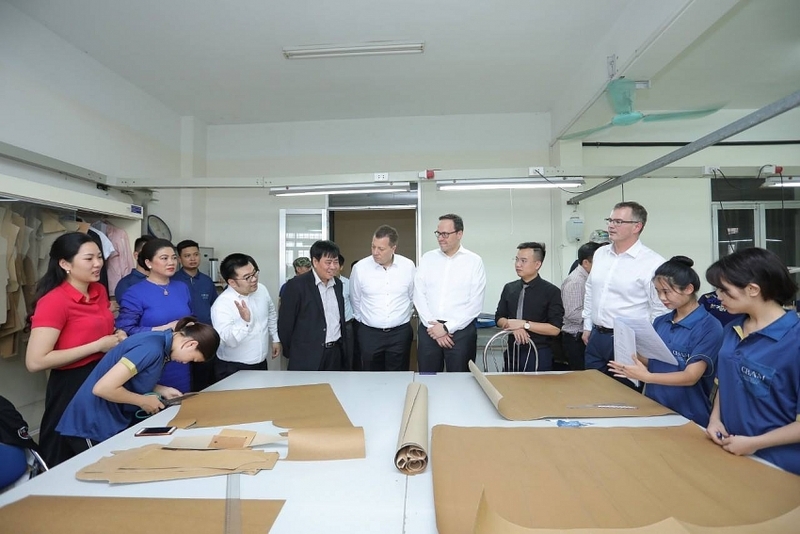 At the meeting, a representative of the city said that the co-operation would entail Germany’s highly effective dual vocational training model, half of which is practical training at enterprises. 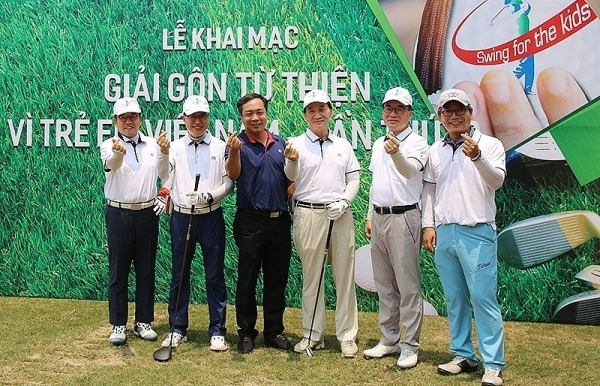 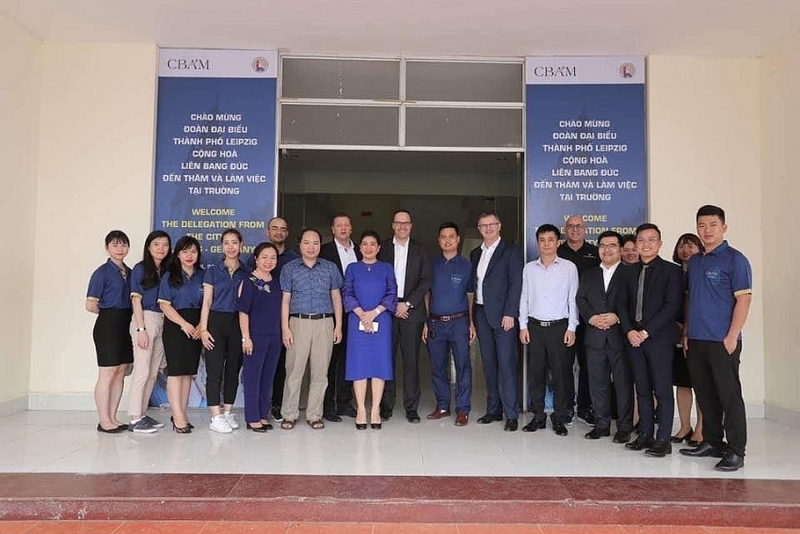 “We wish to establish a firm relationship with vocational training schools in Hanoi, to help graduated trainees to easier find employment,” said Kristian Kirpal, chairman of the Leipzig Chamber of Commerce and Industry. 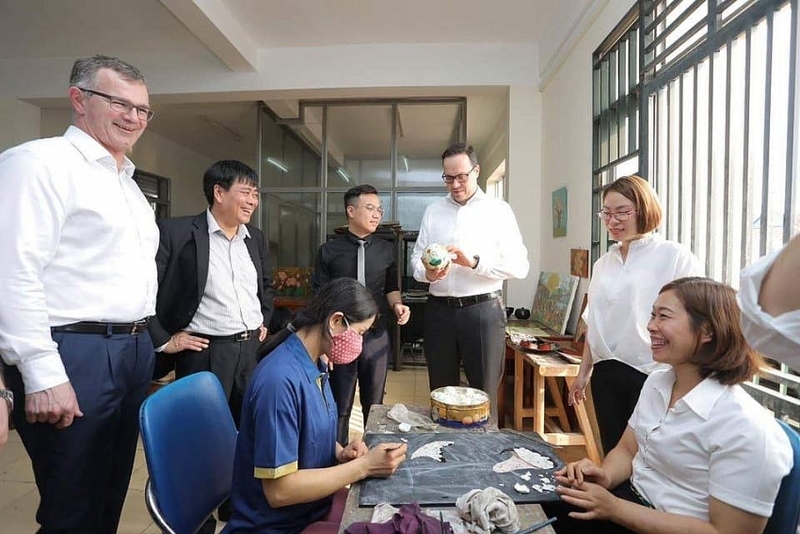 According to Dirk Panter, member of Sachsen State’s parliament, "After the visit, we will design training programmes for each descriptor group, then Leipzig will support vocational training activities in Hanoi. 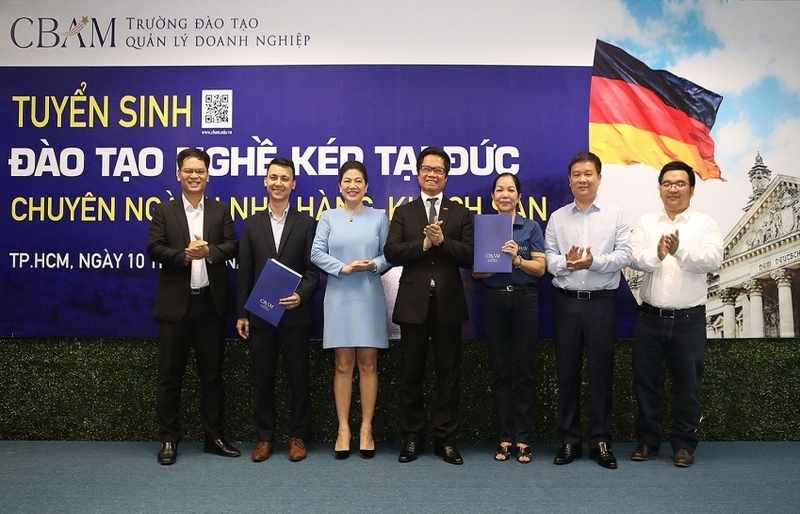 This is a great opportunity to enhance the relationship between the Vietnamese capital city and Leipzig city. 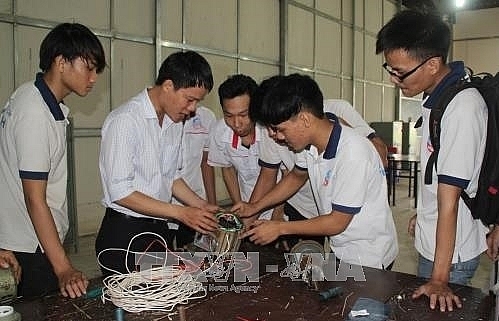 The Vietnam Vocational College of Craft Art and Techniques is managed by the Vietnam Co-operative Alliance. 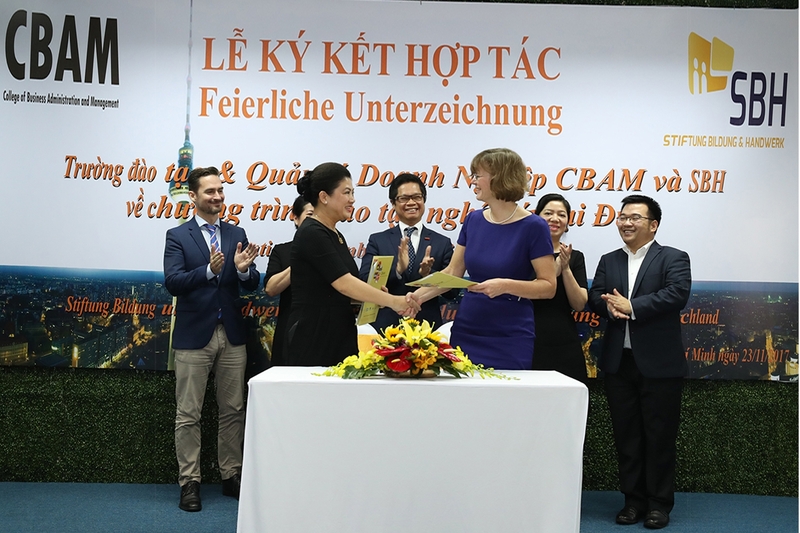 The partnership in vocational training with Germany is a great opportunity to approach the country’s new training model, facilitating the firm relationship between Hanoi and Leipzig cities." 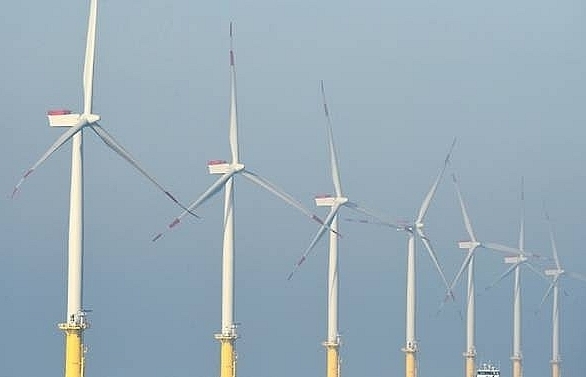 According to statistics published by the Leipzig Chamber of Commerce and Industry, dual vocational training programmes in Germany lured in 65 per cent of high school pupils, offering training in 349 sectors. 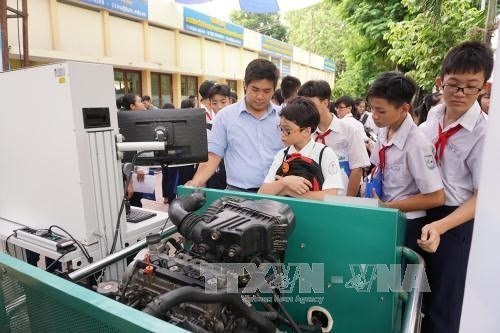 21 per cent of the students of these training programmes have not graduated from high school, while 76 per cent only finished 9th or 10th grade and three per cent have not finished secondary school before enrolling on these vocational training courses. 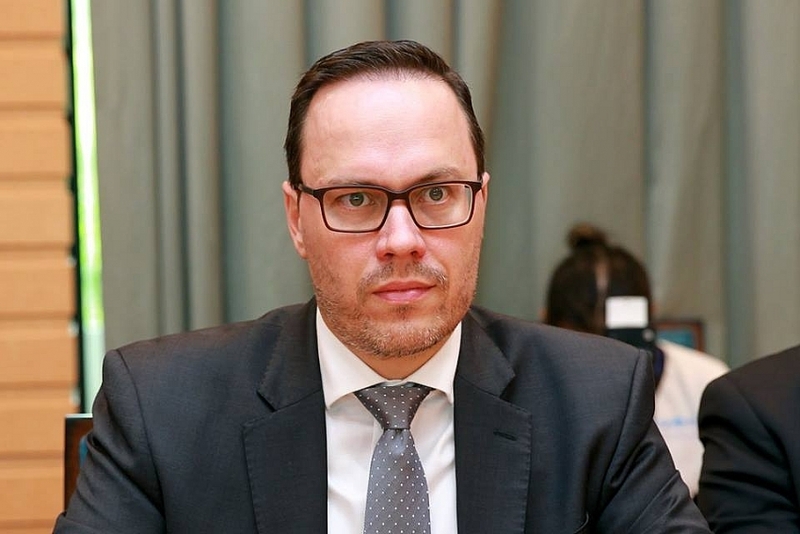 After a student completes the training programme and overcomes the tests meeting the standards of the Leipzig Chamber of Commerce and Industry, they will be granted a globally accepted certificate which is valued even higher than university or college degrees. 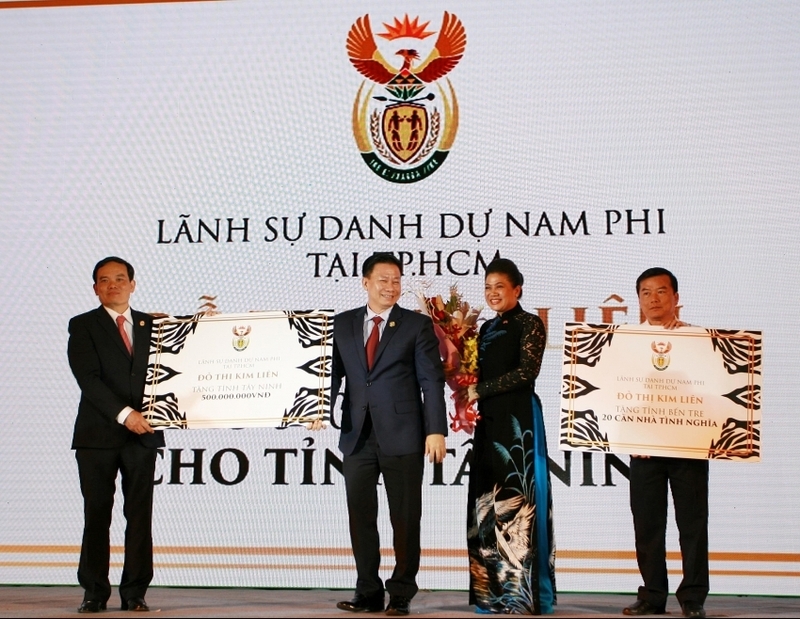 Holders of certificates of dual vocational training programmes are sure to find jobs. 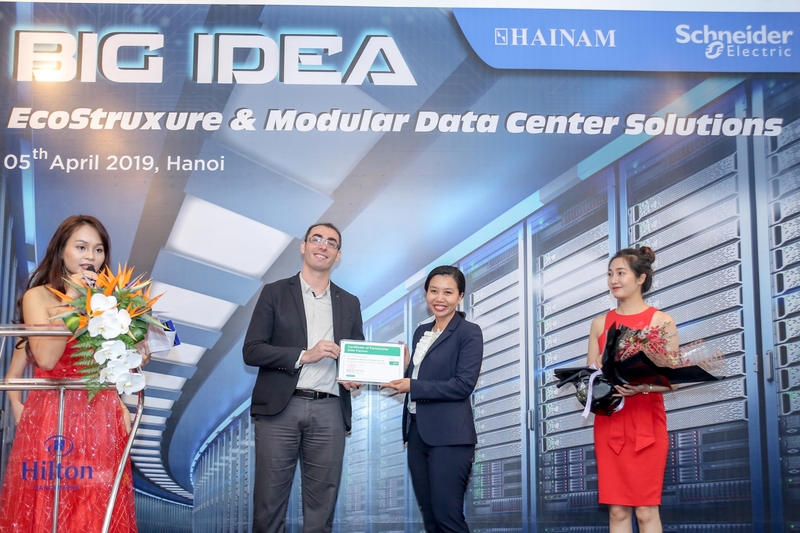 Experts expect that this training model will deal with the employment issue resulting from university and college graduates falling short of enterprises’ requirements. 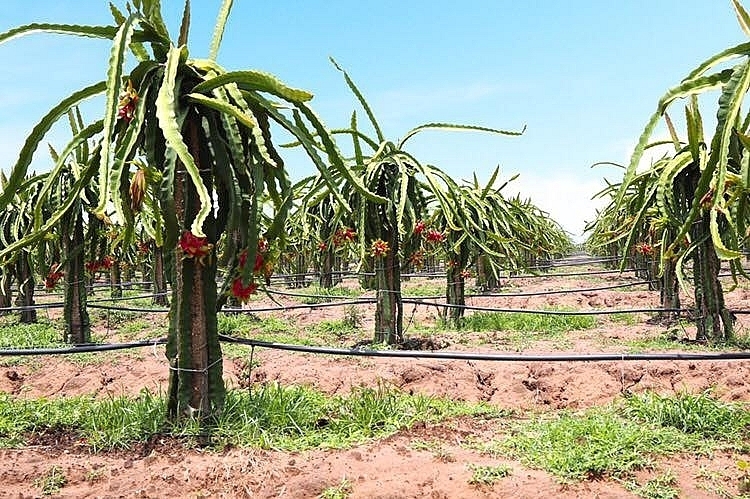 This model will help students start work without taking time to get used to the work or being retrained. 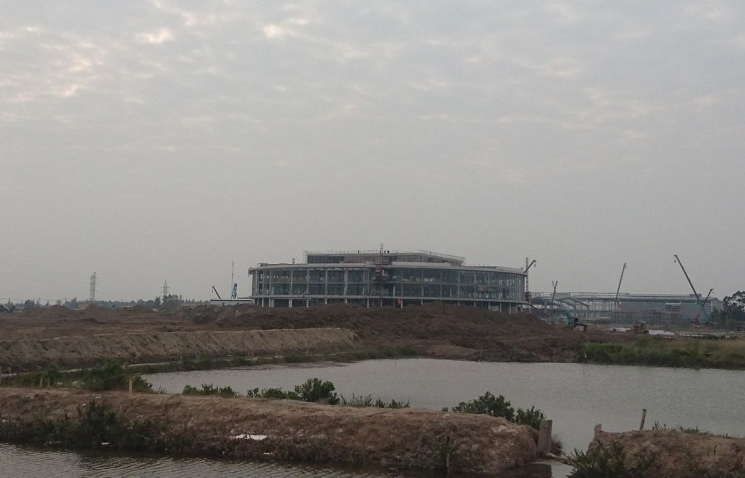 With dual vocational training programmes, students will receive work-oriented and methodical training. 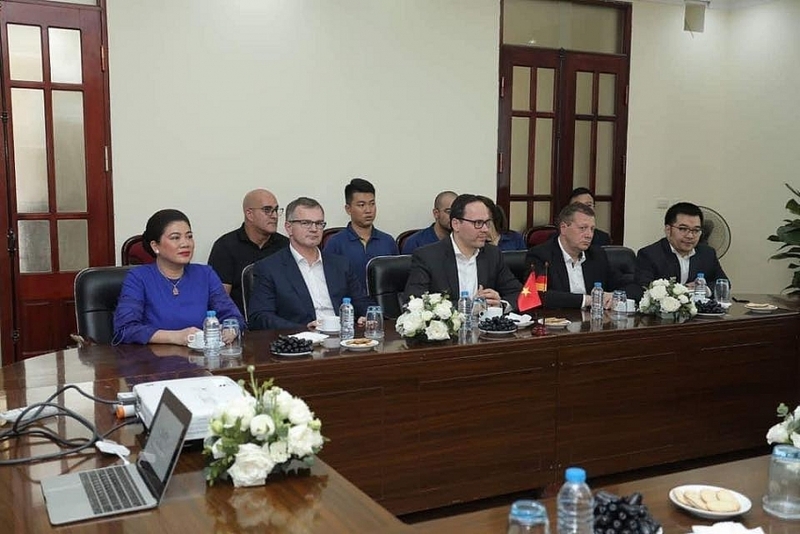 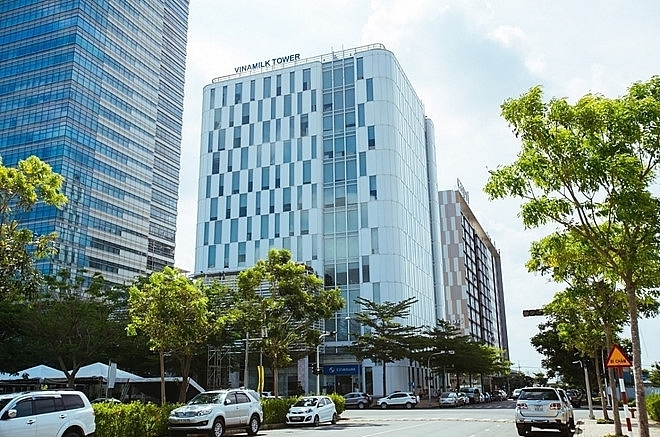 Students will be trained in Vietnam, however, the certificate will be granted by the German government, enabling them to apply for positions globally.